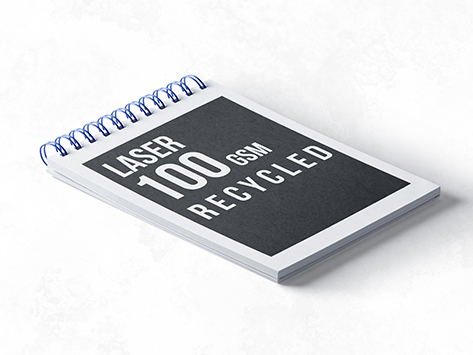 This 100% recycled stationery stock is perfect to highlight your environmental credentials. Printed with UV-cured inks, these notepads are eco-friendly, and yet with stunning full colour, more than just green. Choose 25 or 50 leaves to a pad to best suit your needs. Easy to update with all your current info! Work off a BLANK CANVAS and create your own corporate brand! Dont worry, if you submit a file they are always checked pre production. Copyright ©2019 Theprintingcompany. All Rights Reserved.